BRIDGEWATER, NJ — A Bridgewater Township law banning retail marijuana businesses could be overturned if the bill pending in the state Legislature is signed into law by Gov. 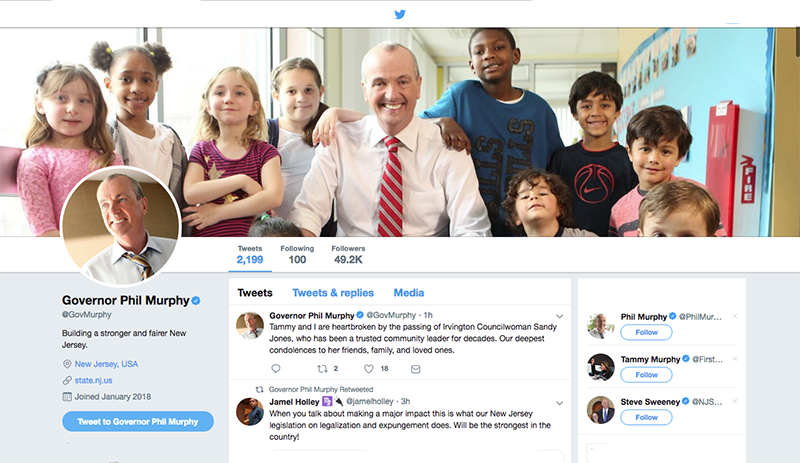 Phil Murphy. The ban prohibits the ban the sale, cultivation, manufacturing and testing of recreational marijuana within the township. However, this ordinance can not stop residents from using marijuana if the state legalizes it. Senate Bill 2703 (and its companion, Assembly Bill 4497) includes a provision that would make “null and void” any ordinances that have been passed in towns across the state to ban the sales of marijuana. “… any ordinance enacted by a local governmental entity prior to the effective date of this section addressing the issue of prohibiting one or more types of cannabis-related activities within the jurisdiction of the local governmental entity is null and void,” the bill says. Any municipality that wants to ban sales, facilities, growing operations or manufacture of marijuana products — for either adult recreational use or for medicinal purposes — would have 180 days following the enactment of the pending bill to legalize recreational marijuana use by adults to enact an ordinance banning the facilities, if they still sought to do that. Hillsdale is one of 50 towns that have banned retail sales ahead of the proposed marijuana legalization.